RAWALPINDI: The Adiala Jail administration on Thursday cancelled a meeting between incarcerated former prime minister Nawaz Sharif, his daughter Maryam Nawaz, and son-in-law Capt (r) Muhammad Safdar, and their legal team. The lawyers’ team wanted to meet the Sharif family following their conviction in the Avenfield properties reference. On Wednesday, lead defence counsel Khawaja Haris told the accountability judge that jail authorities were not giving him access to his client, Nawaz Sharif. After court proceedings, as per the legal team of Sharif family, the jail superintendent called Haris and allowed him and the other lawyers to meet with their clients. The jail authorities then, with the consent of the lawyers, fixed their meeting for 11am on Thursday. However, when the legal team reached Adiala Jail at the scheduled time on Thursday, they were informed by the jail superintendent that the meeting had been cancelled. Subsequently, they returned without meeting their clients. According to Haris, the “legal team comprising Amjad Pervaiz, Barrister Saad Hashmi and Zafir Khan had been requesting jail authorities since the day before to allow them to meet their clients “so that we can confer with them regarding their future strategy”. According to Haris, an Adiala Jail assistant superintendent had explained that the lawyers’ meeting had been cancelled since Thursday is for visiting family members and others. He claimed that the jail administration had asked them to suggest a date for another meeting, but were not giving them any assurance that the same would not happen with their next meeting. He added that it was not possible for professional lawyers to work freely and independently if the behaviour of jail authorities continued to be humiliating. 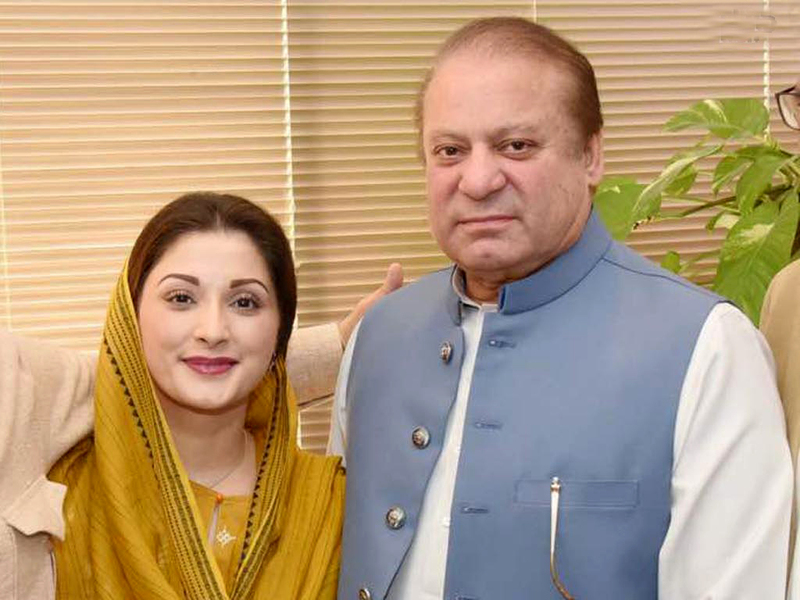 According to a visiting list prepared by the jail authorities, 23 leaders of the Pakistan Muslim League-Nawaz (PML-N) and 17 members of the Sharif family were allowed to visit the father-daughter duo on Thursday. Moreover, Maryam’s son Junaid Safdar, Sindh Governor Muhammad Zubair and PML-N Chairman Zafarul Haq reached Adiala Jail on Thursday morning. Earlier on July 13, the convicted father-daughter duo had landed in Lahore amid an impressive power show put up by the PML-N, as thousands of workers and sympathisers had reached the Mall Road by breaking through cordons amid an unwarranted police crackdown ordered by the interim provincial government. The former PM and his daughter had been jailed a couple of hours after a team of the National Accountability Bureau (NAB) formally arrested them at the Lahore airport on their arrival from the United Arab Emirates (UAE), as several thousand party supporters gathered on the streets of Lahore to ‘welcome’ their leaders. An anti-graft court in Islamabad had on July 6, sentenced Nawaz to a total of 11 years in prison and slapped a £8 million fine (Rs1.3 billion) in the Avenfield case, whereas Maryam received an eight-year sentence with a £2 million fine (Rs335 million). As soon as he landed in Lahore, the deposed PM and his daughter had been taken to the Haj Terminal. After completing the immigration formalities, Nawaz and Maryam had been put on a private jet and flown to Islamabad from where they were escorted to the Adiala Jail in Rawalpindi amidst tight security for medical examination.